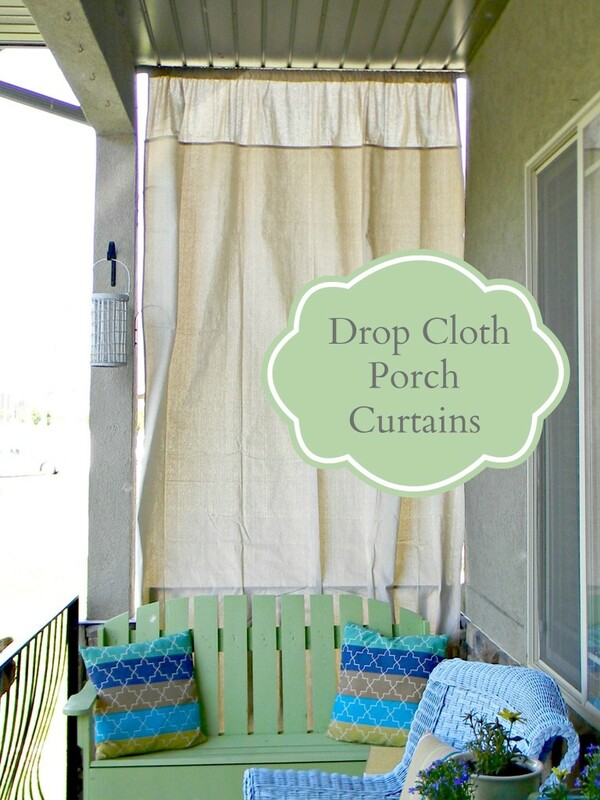 I’ve been wanting to make drop cloth porch curtains for this side of my porch for a few years. Why does it take me so long to get around to some things? I love that I always have projects to do but I hate that it takes me so long to get to some of them. Anyway! My house is North facing and is perfectly shaded most of the day except for a few hours in the morning. The sun would shine through this end of the porch and blind you if you wanted to have breakfast or just relax for those few hours. 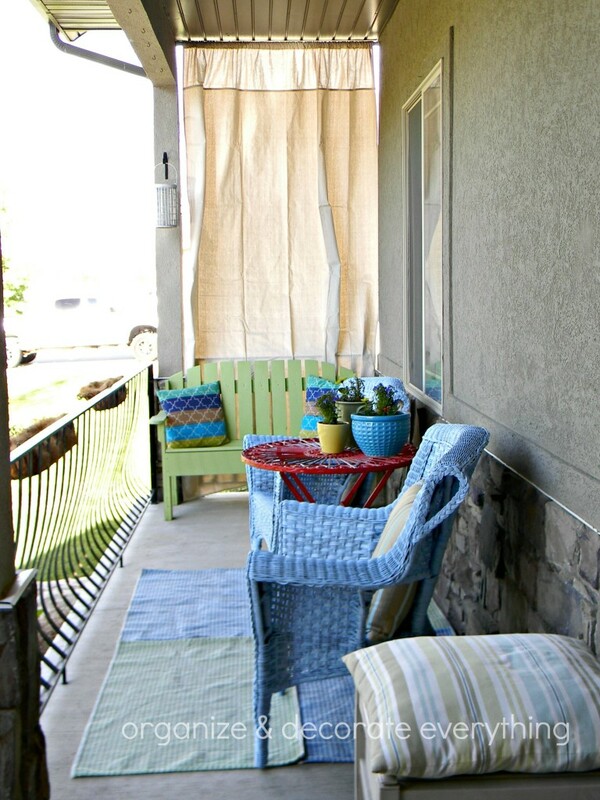 The area of the porch I wanted to make the curtain for is 10′ x 4′. 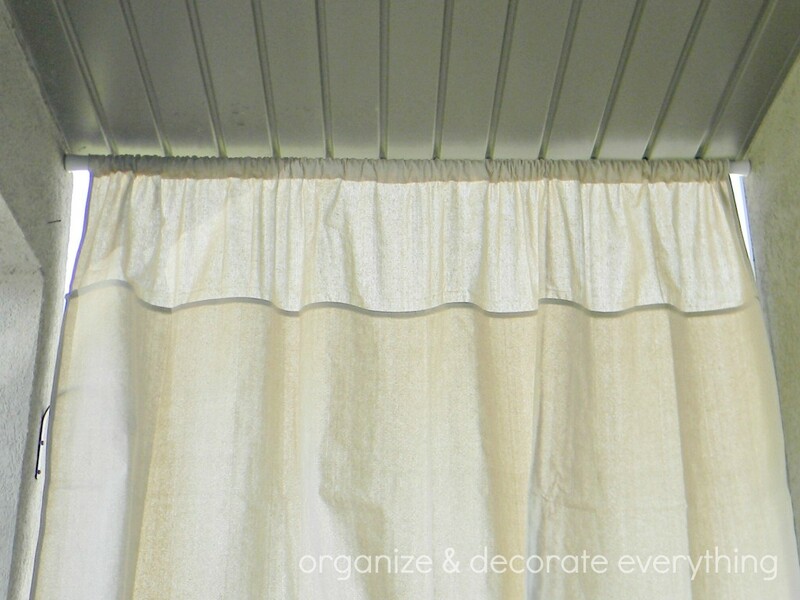 I only had 2 9′ x 6′ drop cloths so I sewed them together to make the curtain. The cloths were of different weight so they have a slightly different look. I decided to sew the thinner weight to the top of the curtain for an almost sheer look. I really like the end result and how the curtain looks custom made. I added 6 inches of fabric to the top piece to make the pocket for the rod. I used an expandable shower curtain rod to hold the curtain. I tightened the rod to the porch and since the porch is stucco and the rod has rubber bumpers on the ends, it holds really well. If your space is wider you could use a metal pipe for the rod. I wouldn’t use a pvc pipe because it would probably bow in the middle. Since they are outside curtains and the seam is up high I wasn’t to particular about finishing off the other side. I used pinking shears close to the seam. 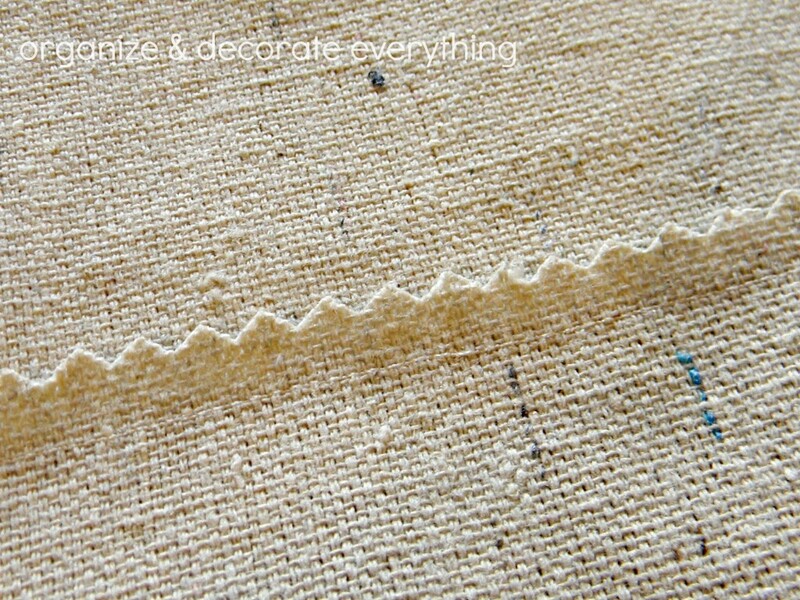 I used the pre-finished seams on the bottom and sides of the drop cloth so I wouldn’t have to sew a hem for the curtain. It’s works beautifully for this space. In this picture the wind is blowing pretty strong and the curtain stays in place pretty well. I still have a few more things to do but I love how the porch is coming together. I had a question about mildew on the curtain. I haven’t had a problem with that, but I wash it a couple times during the Summer and take it down in the cooler months. I think it’s genius to use a curtain to block off the sun. And the drop cloth is the perfect material. Love this. Great idea to use the shower curtain rod. What a fantastic way to get sun control and privacy. I was wondering how these held up. I was worried that the fabric will mildew. 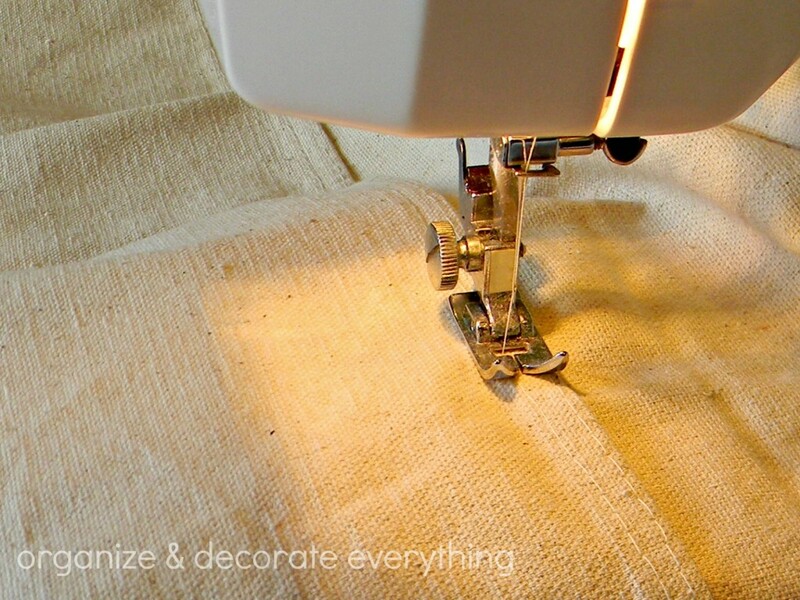 I love the idea of using drop cloths.